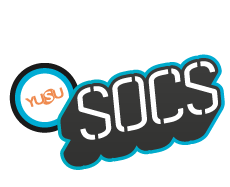 YUSU Societies are a fantastic hub of activity. From performances to political action there really is something for everyone. With approximately 200 groups, you can be part of a community on campus. We also encourage new societies to set-up (c’mon Pizza appreciation). So many students say their best time at University was being part of a society. Make some memories and add something to your CV by being part of great student-led activity. How can I join a Society? You can join all societies online by selecting the 'Join Online' button on their page. At the start of the year during Freshers' Week we organise a massive Freshers's Fair on the Saturday. You can meet all our great societies there. Soceities get ratified by societies committee* 3 times a year. To start, a society need to meet certain criteria, detailed in the guide included above on this page. *8 students that have been elected. Everything you need to know about running a society can be found in the resource hub. It should be your first stop to see if you can find the information you need. Here are the quick links to those forms you have to get to all the time. NOTE: Some of these require you to be on campus or to be accessing campus through a VPN. Please use the guides if you have issues with the links and if you can’t find the information in them only then contact James. If you can't find the society you want to join, ask them as they might know if it exists!